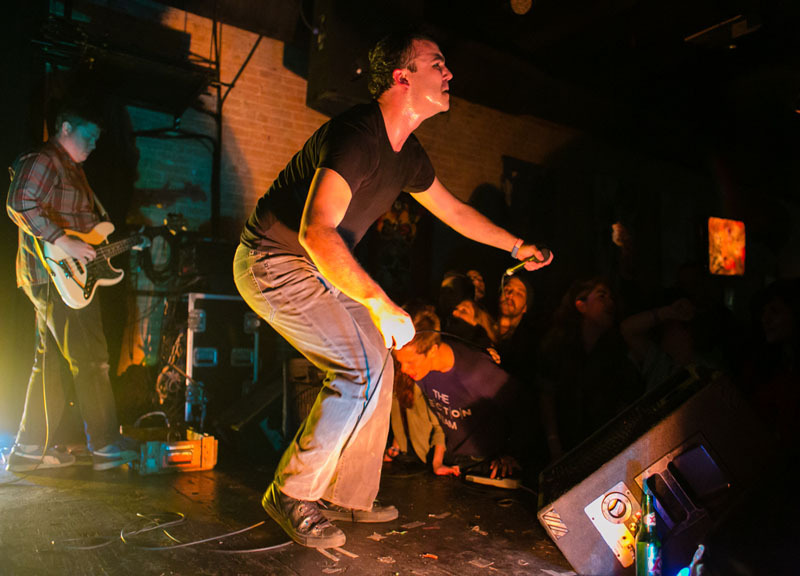 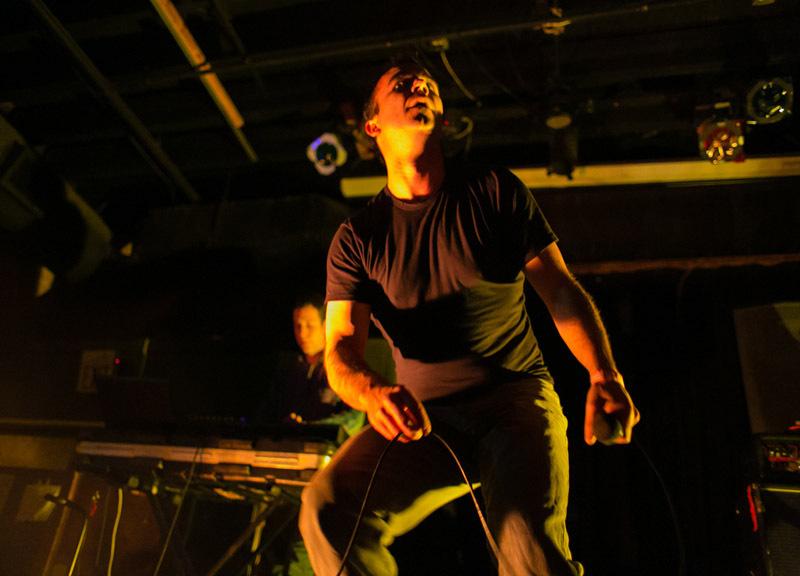 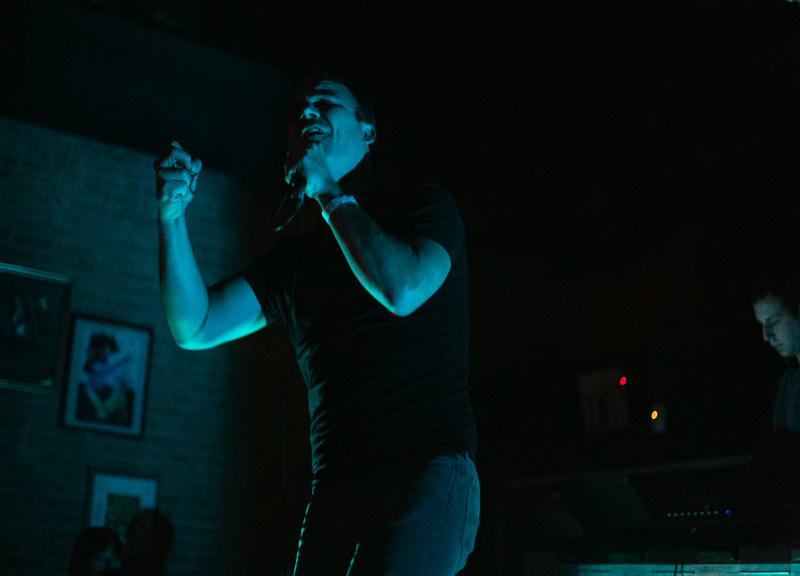 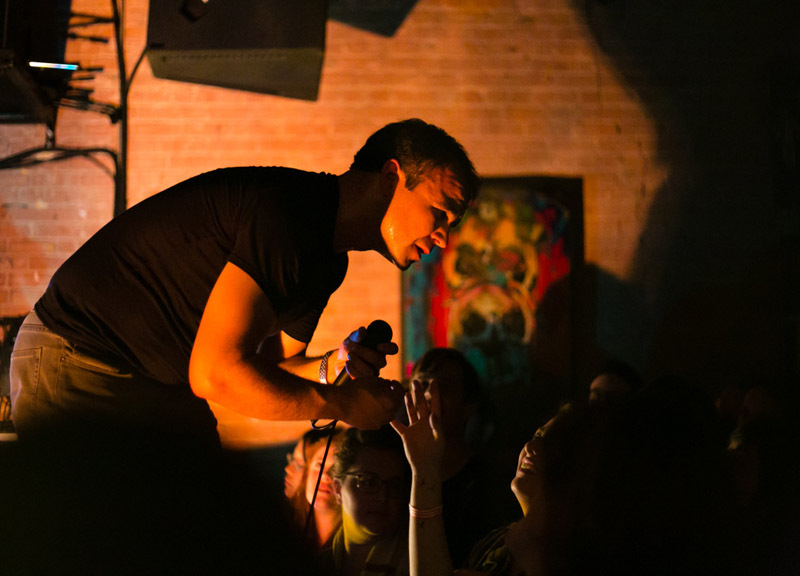 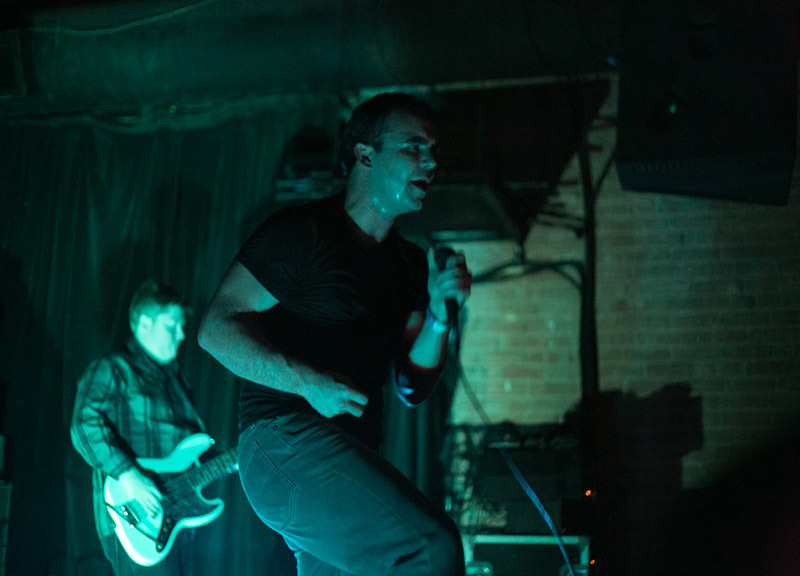 Scenes From Last Night's Future Islands and Talk Normal Show at the Prophet Bar. 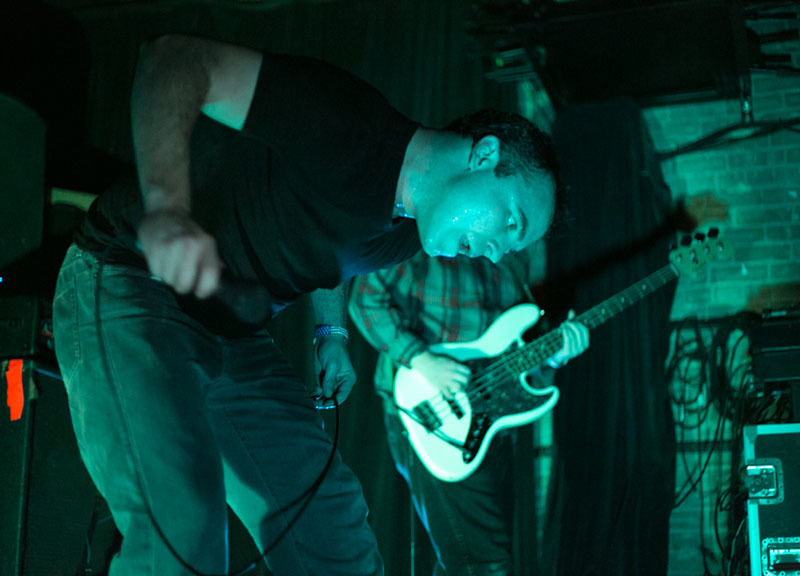 Yesterday morning, Jack Gilbert, a great American poet, died at the age of 87. 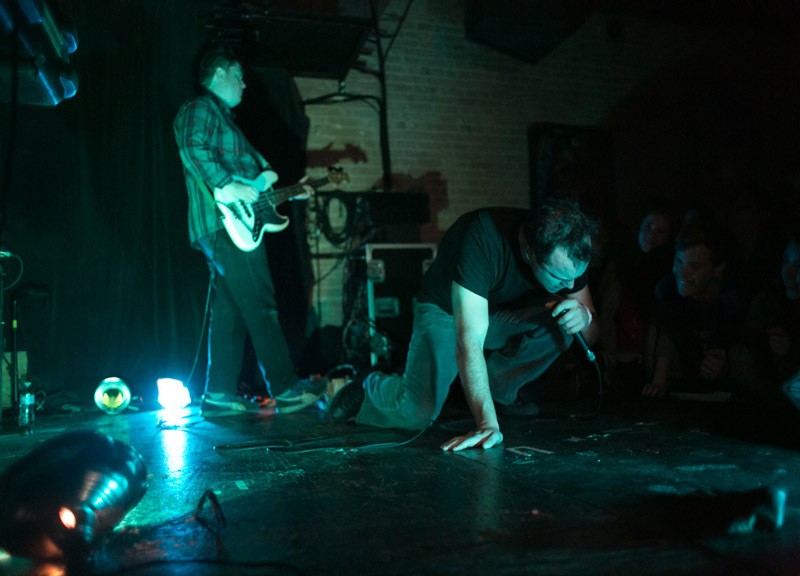 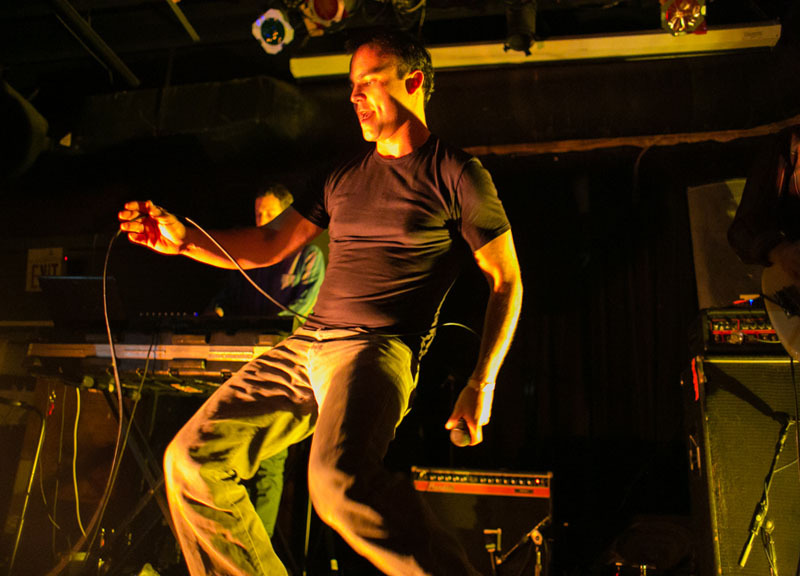 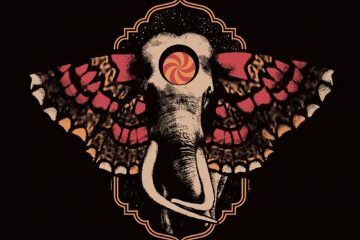 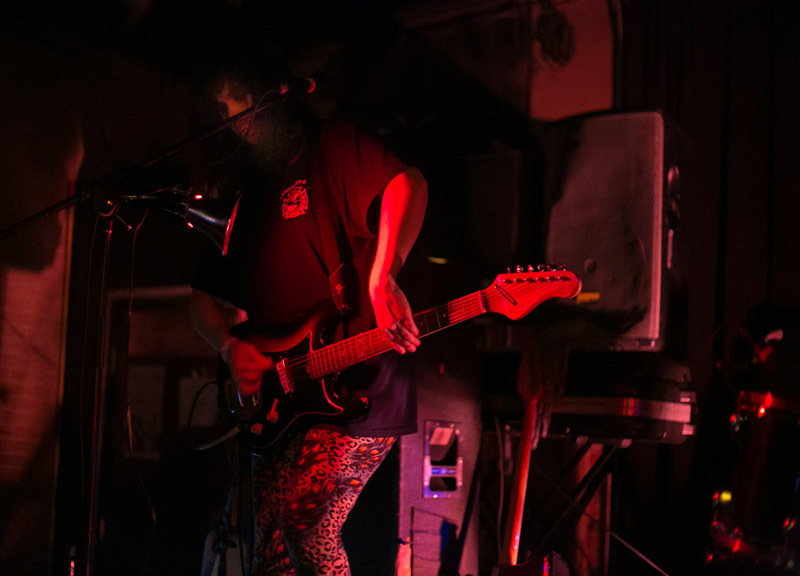 Later that night, before Future Islands began playing their first song, “Give Us The Wind,” at Dallas' Prophet Bar, vocalist Samuel Herring dedicated his band's set to the poet. 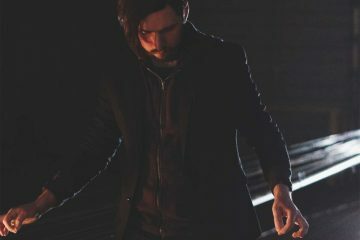 It wasn't an altogether surprising move. 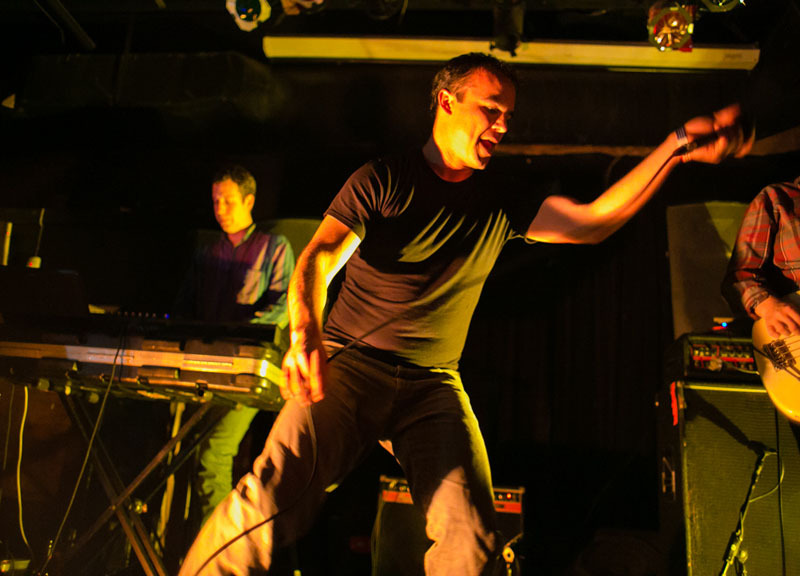 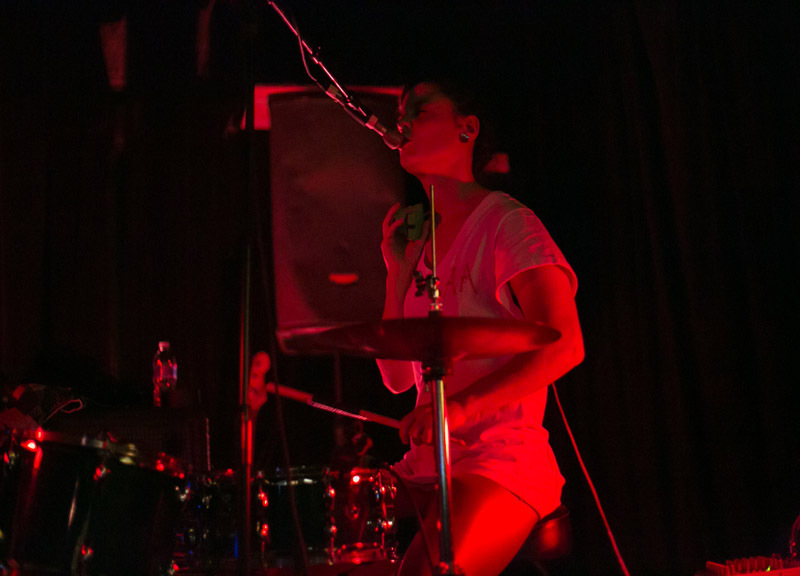 The synth-pop/new wave band from Baltimore is known for their emotive and affecting lyrics. 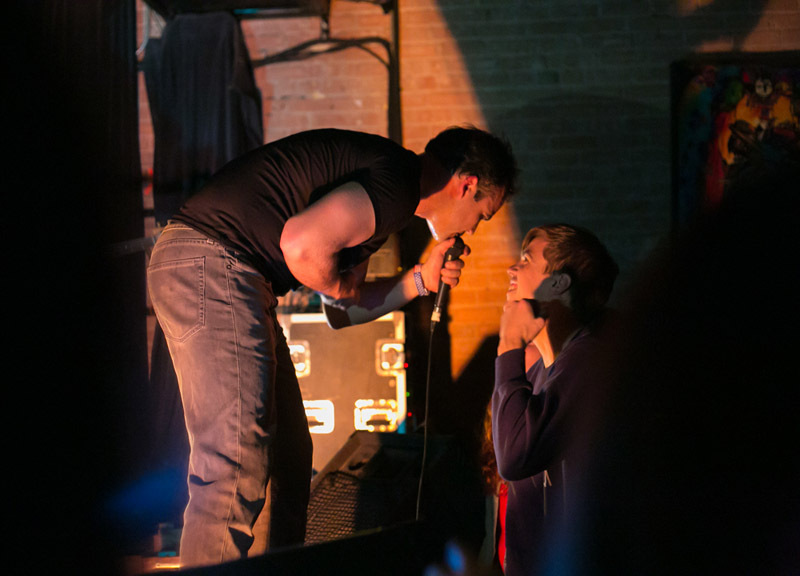 And this night showcased just that side of the band. 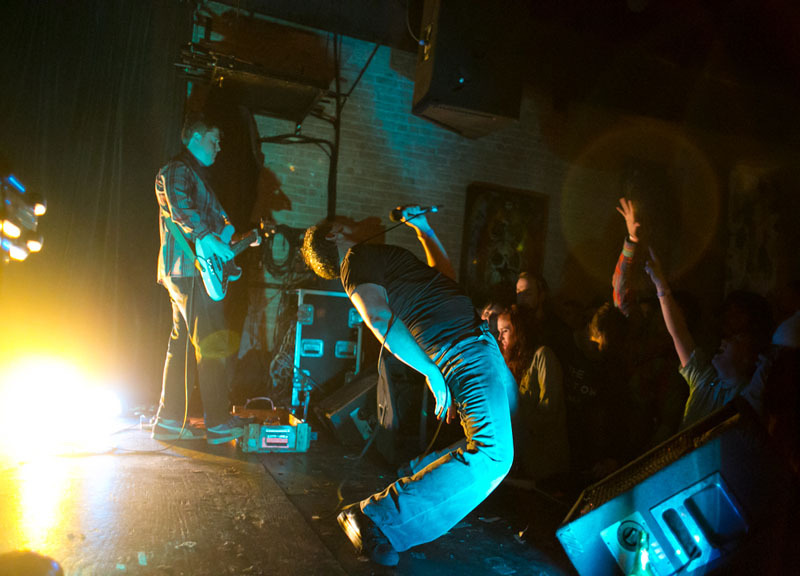 No doubt drawing inspiration from Herring, who aggressively dances and jumps around the stage while throwing punches in the air as he performs, the crowd itself — or at least those immediately surrounding the small Prophet Bar stage — couldn't contain themselves, creating an almost mosh pit at they danced. 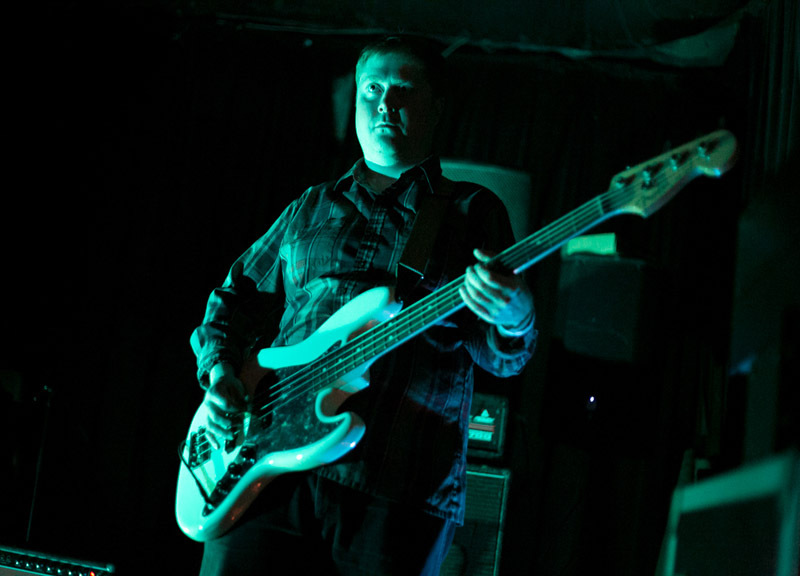 And yet, without fail, the mood continuously returned to a jovial point between songs. 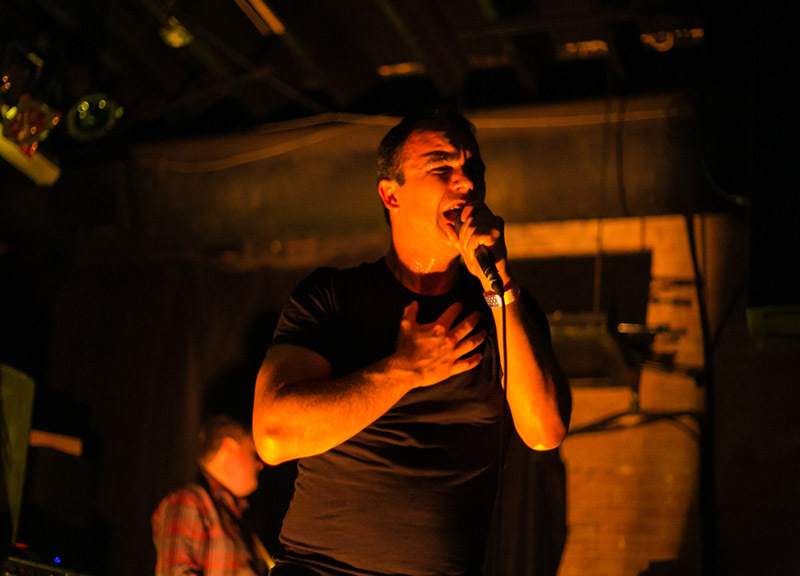 Next came “The Great Fire,” which Herring explained was based on a Gilbert poem called “The Great Fires.” To say that the performance of this particular song was exceptionally emotional compared with the rest of the set is probably an understatement. 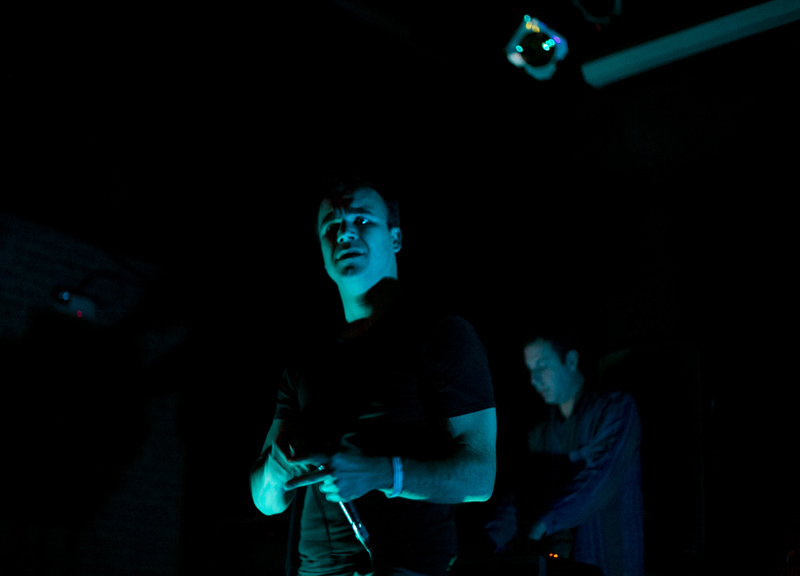 And that means a lot, given the set's high emotions throughout. 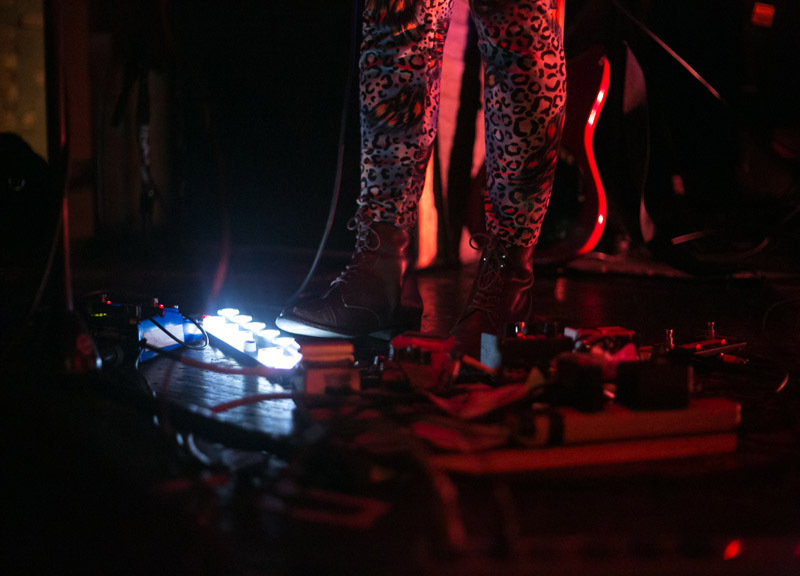 Still, it's true: As the chorus began and the crowd sang what would be Jenn Wasner's portion, Herring only encouraged them to sing it even louder. 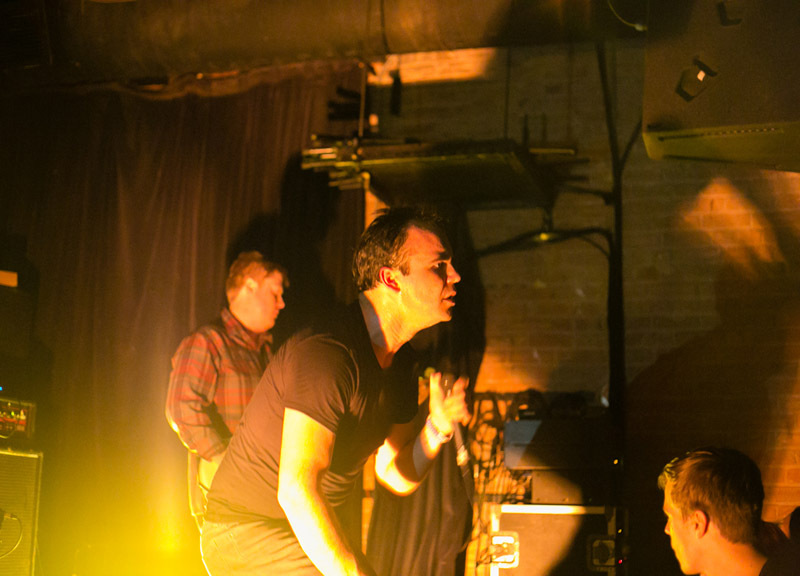 Fortunately, the night ended on a lighter note — as light as Future Islands can achieve, at least — as the band played “Old Friend” from their album Wave Like Home. 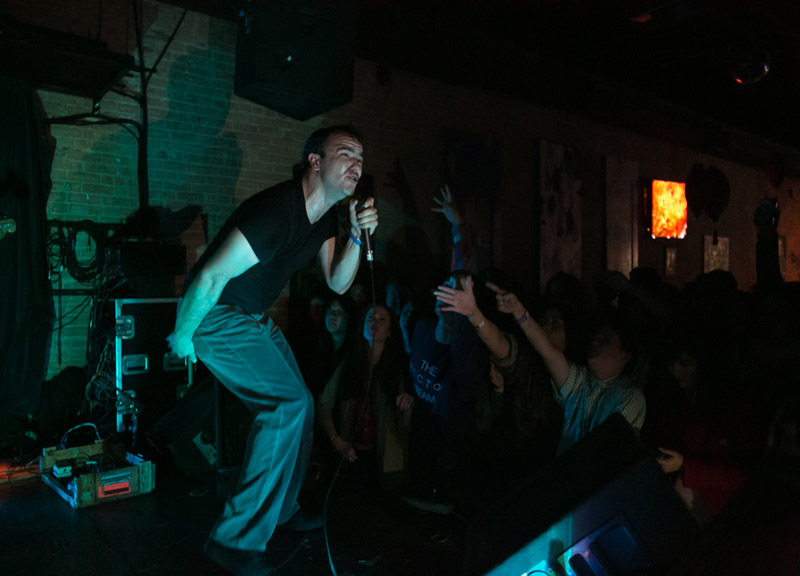 By the time that song finished, it seemed an apt way to describe everyone in the room.